 Eskmills Venue is located within Eskmills Park – by the banks of the River Esk in the easily accessible town of Musselburgh, just outside Edinburgh. See below for details of how to find us. If you’re coming by car, we have plenty of free parking on site, and bicycle parking is also available. The train is a 5 minute journey from Edinburgh Waverley, with trains at least every hour. Visit www.scotrail.co.uk to plan your journey. Once you arrive in Musselburgh, it is only a 10 minute walk. Driving an electric car? The nearest charging point is in Eskmills Business Park. There are two charging points available operated by Charge Your Car and both have a power output of 7.0kW with a Type 2 Mennekes socket. Why not reduce your carbon footprint and travel to us by bike? We have secure bicycle parking with 24 hour CCTV. Visit a site such as www.cyclestreets.net to plan your route. The whole of Eskmills Venue is at ground level and we make every effort to make the site accessible to all our guests.